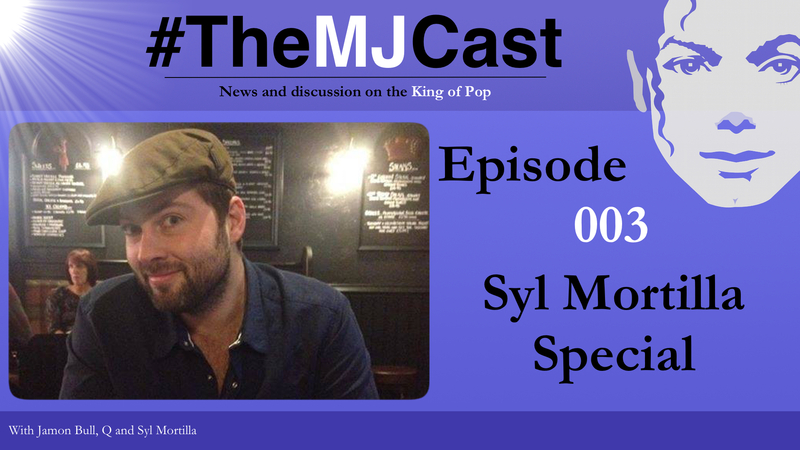 On The MJCast’s first special, Jamon and Q interview acclaimed author Syl Mortilla on his book ‘The First Book of Michael’. Topics include Syl’s writing process, the book itself, discussion around Michael’s art and legacy and how his art has been handled post June 2009. Michael Jackson’s Legacy – a charitable organisation dedicated to continuing Michael Jackson’s humanitarian legacy. This entry was posted in Specials, The MJCast, Uncategorised and tagged Michael Jackson, Special, Syl Mortilla, The Jackson 5, The Jacksons by Jamon Bull (Admin). Bookmark the permalink. I am working through all of your podcasts one by one, this was is great yet again! Syl sounds like such a fan, very relatable. Awesome.